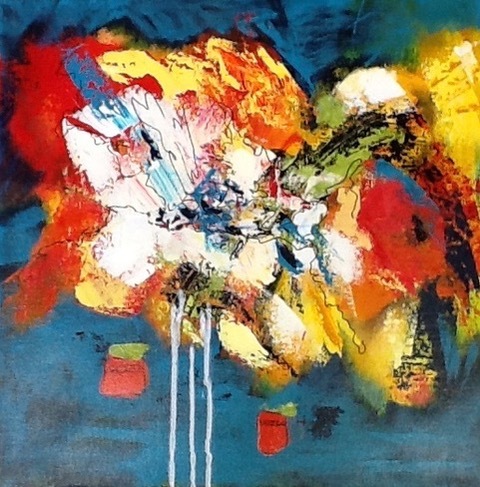 Barbara Gregory has a Bachelors Degree in Art Education from Wittenberg university. She taught grades 1 through 12 for several years. Recently, she studied with Carol Skinner, Magdalena Segovia and Susan Mauck. She has a studio in downtown Carmel. 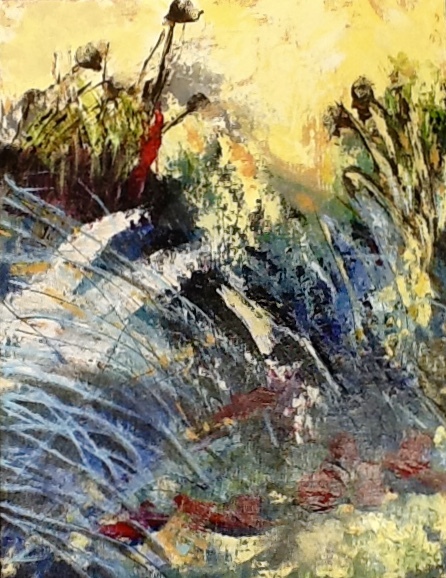 I find that acrylics offer many opportunities for layering for the expression of color, design and texture. Color has always been an important part of my life. Hopefully the joy I find in bringing life through color in my paintings will be enjoyed and found meaningful to those who see it and live with it. After exploring watercolor, ceramics and realistic oil paintings I found abstract painting in acrylics a joyful experience. 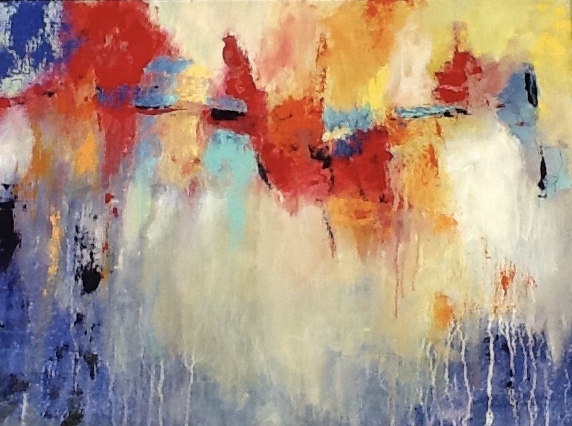 Abstracts can find a place to express one’s feelings and moods or just make a statement in your home. I find that acrylics enable many opportunities for layering for the expression of color, design and texture. Color has always been an important part of my life. Hopefully the joy I find in bringing life through color in my paintings will be enjoyed and found meaningful to those who see it and live with it.